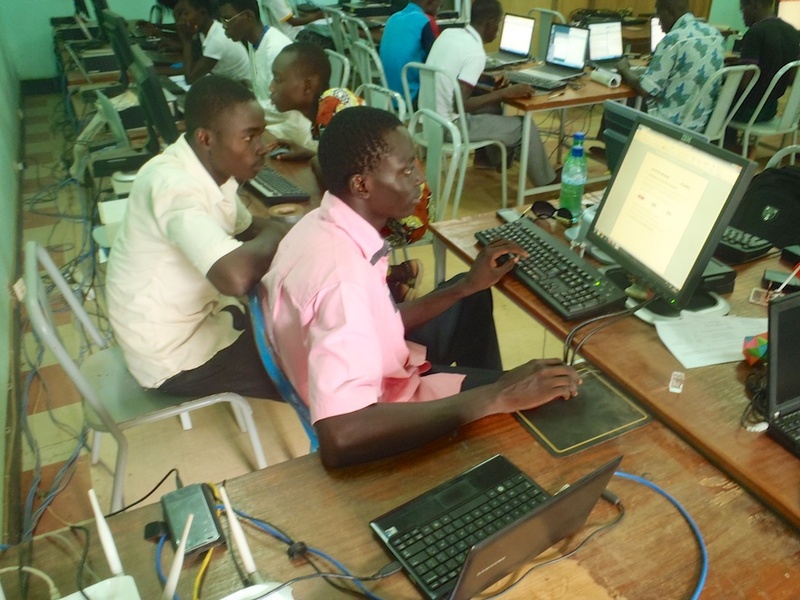 In 2012 and 2013, the Lycée Provincial à Koudougou (LPK) developed an innovative computer-science curriculum, thanks to the leadership of I.T. 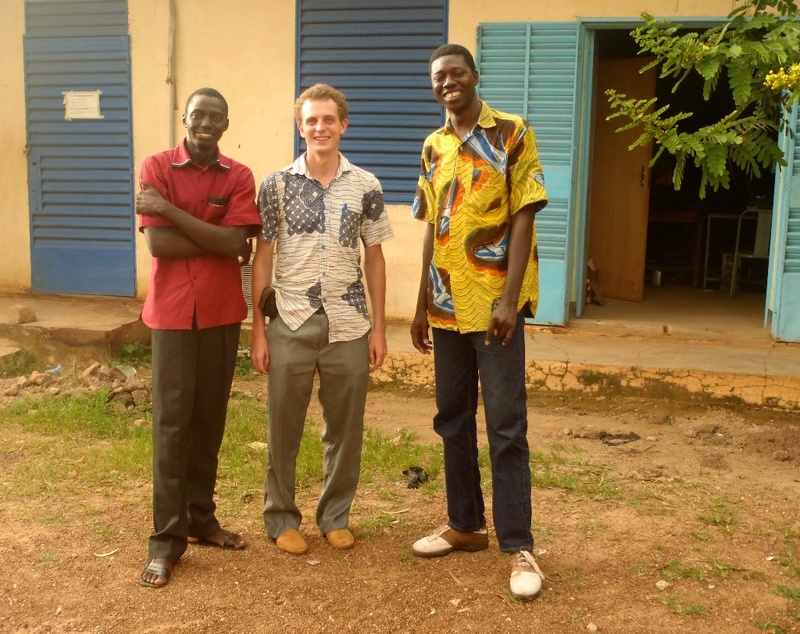 faculty members a Peace Corps volunteer (PCV) assigned to the high school as well as some financial and technical support from the Friends of Burkina Faso. 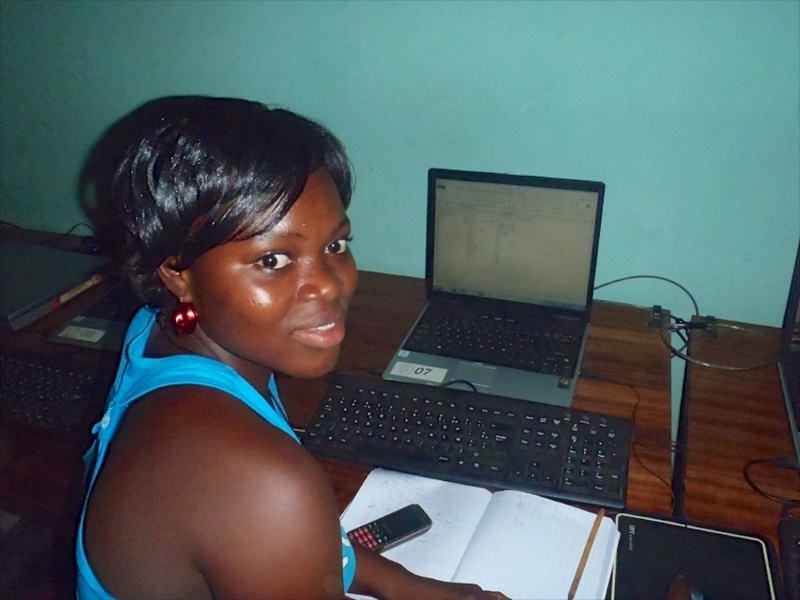 During this two-year period, over 250 students acquired basic computer skills and were exposed to the Internet for the first time. Enterprising students became teaching assistants. Others learned how to repair computers and/or helped manage the lab. 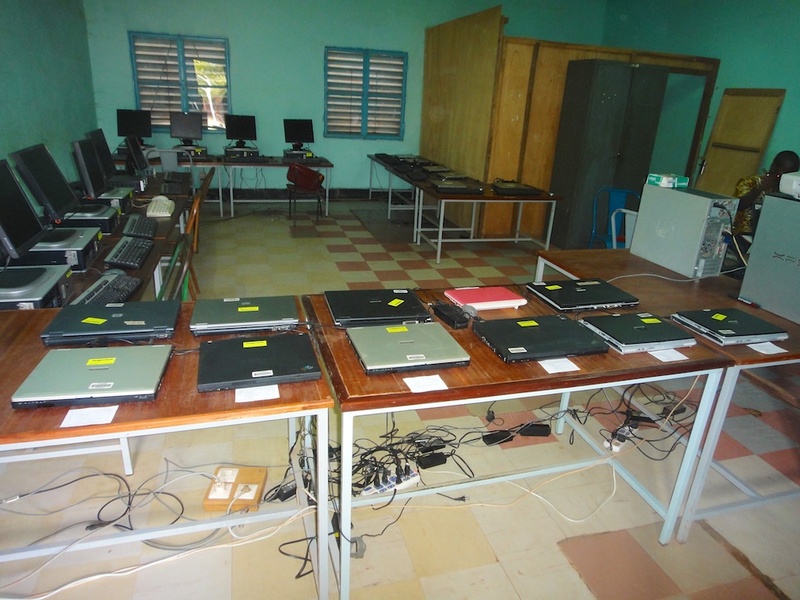 Earnings from sales of refurbished computers to residents of Koudougou generated revenue, enabling the I.T. program to purchase needed equipment. 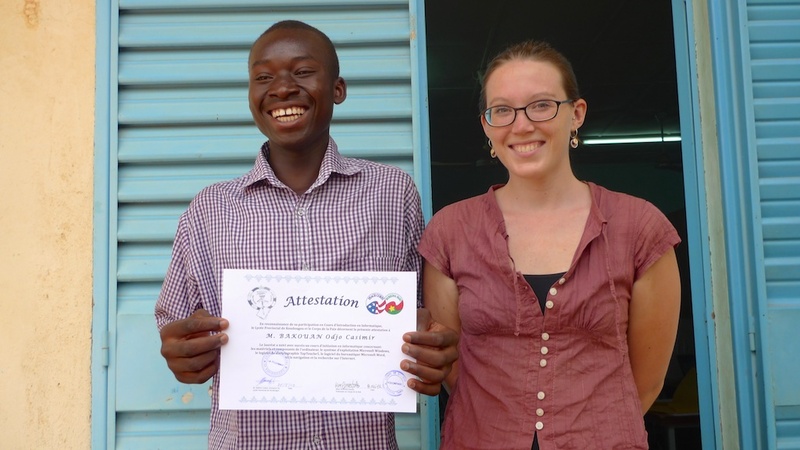 Casimir, one of the best IT students, according to teacher Emma. Instructor Stephane and student Herman Nebie review lesson plans. IT faculty members Stpehane, Ethan and Jocelin. Veroniqua imagines how she might start up a restaurant.